Messenger Bag [G&L_Messenger_Bag_Flap] - AUD $495.00 : Kif and Katast, a new contemporary design space featuring our in-house range alongside the works of local & international, established and emerging artists. 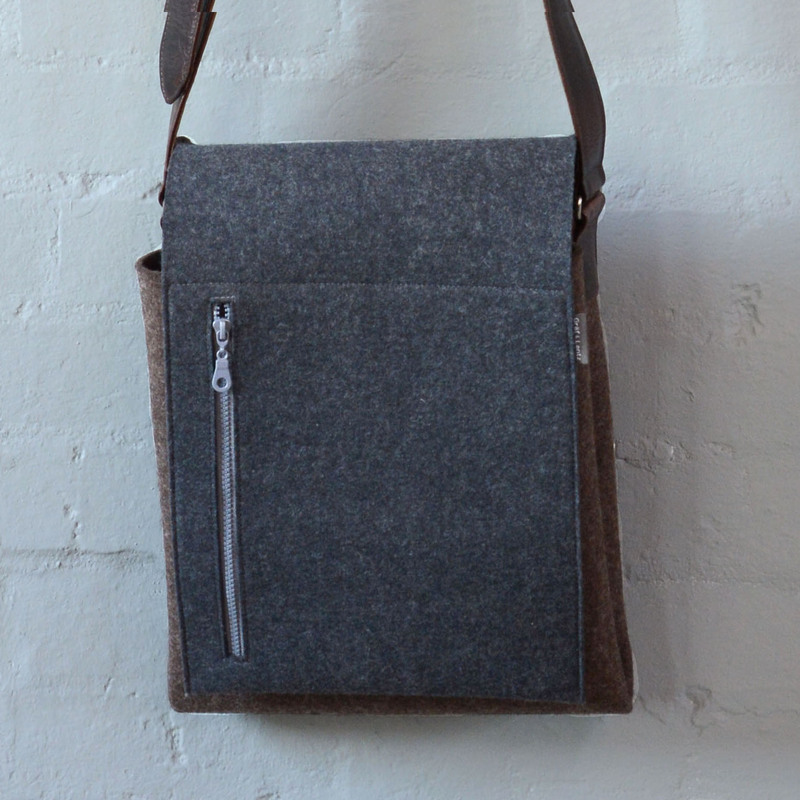 The Messenger is a great satchel produced by Los Angeles based designers Holger Graf and Daniel Lantz. 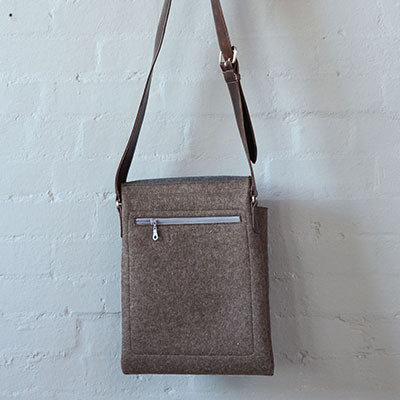 Handmade in their LA Studio, it is made from merino wool felt and leather. It is an ideal work bag, capable of carrying a 15” laptop, with a generous amount of space for your iPad and documents. 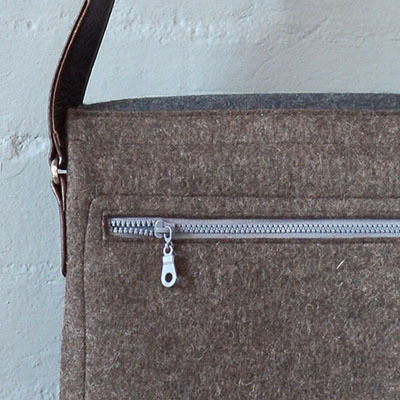 The body of the bag has been created from a single piece of felt, which has then been formed into a tube and folded to create two large pockets. In folding the tube to create the body of the bag, a discreet narrow slot is formed between the two pockets, allowing this space to be used as an additional pocket to store an umbrella or newspaper. While the two main pockets do not have zips, the felt flap keeps your contents safe. The bag has two generous zip pockets, one in the front flap, and also on the back of the bag. There is also an additional pocket in the front section of the bag allowing you to keep your phone/keys accessible. The bag is designed to be worn across the body or off the shoulder, allowing you to keep your hands free. The messenger bag is a great work horse!